Shahrukh Khan and Anushka Sharma’s recent release ‘Jab Hari Mate Sejal’ had a lot of expectations from the audience. the fans were eagerly waiting for this film. But now that the movie has been released, Shahrukh and Anushka both are totally failed to impress the bollywood lovers. The film, Jab Harry Met Sejal has not only disappointed critics but also fans. Talking about the opening day collection of the film, the film has got only 15 crore rupees collection on the first day at the box office. The film has only received negative reviews from most of the critics. Critics are filming the film on the film Slow Pace and the Boring Story. Secondly, the music of the movie has not been able to show anything special. Jab Harry Met Sejal looks predictable just like other Bollywood movies. In the film, the tour guide Harry is seen with an Indian group, who went on holiday in Europe. He draws pictures of this group and hopes to get some unique experience staying in them, which he is missing in his life. During this time, she meets Gujarati girl Sejal who is Europe Trip. Sejal loses his engagement ring and then the tour guide Harry jumped into his mission to find his ring. Both of them first fight with a lot of things, then love. Overall, this film takes Karan Johar’s 2000s film, which has thousands of songs, romantic dialogue and extremely boring characters. In the coming time, we have to see what the film looks like at the box office, because on August 11, Akshay Kumar’s film titled: A Prem Katha is also going to be released. 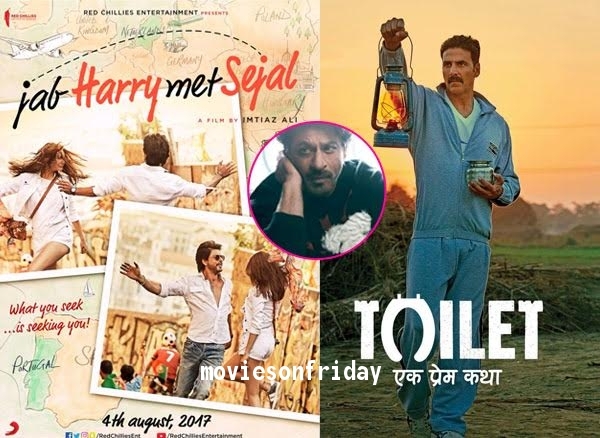 Akshay’s film is already in the news so Shahrukh Khan’s Jab Harry Met Sejal may have to face even more difficulty in staying at the box office. According to the box officeindia reports the film is just collected 15.5 crores on its opening day. This total figrures of opening day is very low when you see as the SRK’s point of view, And this is also the First lowest opening for SRK in the last 5 years. Previous articleJab Harry Met Sejal Movie Review | Another Flop From SRK!